Unwanted and unloved, Miriel Weaver finds herself forced into a closed convent by her violent stepfather. Outside, the civil war of 1216 rages through the English countryside, throwing into jeopardy all that its people hold dear. As the turmoil outside reaches a peak, Miriel itches to break free from her life inside as a religious novice. She plots to escape but her plans screech to a halt when a soldier of fortune, a half-dead Nicholas de Caen appears at the convent door. Once held captive by royalist troops, he has managed to escape their clutches with part of the royal regalia, but his flight has sapped all life from him. Miriel nurses him with the vigor she has had suppressed in her imprisonment, and revives Nicholas, in whom she recognizes her own stubborn pride and independence. He is not only her kindred spirit, he is also her only way out. So upon his recovery and release, Miriel coerces her former patient into taking her with him. Never one for nostalgia, Miriel has only seen Nicholas as a means of escape, and once out of the convent, the two part on bad terms. From this point forward, misfortune will plague Miriel’s life until she runs into a new Nicholas, this time a famous soldier and merchant. Can the two now see past their pride and into each other’s souls, formerly one and the same? I honestly can’t remember how I came upon this author’s work but the first book I read by her was Daughters of the Grail, which was a fascinating story about the Cathars. So most likley I probably found it soon after I read Labyrinth by Kate Mosse which also dealt with the Cathars and I wanted to know more. After I read Daughters of the Grail, I quickly ordered a few more books by Elizabeth Chadwick from the Book Depository. This is the second book I’ve read of hers and it was another great read! But first a little background. The story takes place during the last moments of King John’s reign (yes, the King John of Robin Hood fame), and one day, his baggage train was lost, which included lots of royal treasure. And it has been lost since. So this was the jumping off point for the story and how it could have affected two people. The author gives a short note about the historical background to this story at the end of the book. While fleeing the convent with Nicholas, Miriel finds out about the treasure that Nicholas was able to get while the baggage train was sinking in the marshes, and seeing an opportunity, Miriel takes some of that treasure with her (including Queen Mathilda’s crown). The two lead separate lives but ultimately fate brings them together and despite their anger towards each other come upon a truce to never reveal to anyone each other’s secret. I don’t want to give too much of the plot away, but ultimately the king’s treasure served as a background story because this book was truly about Nicholas and Miriel. I loved the story because it just kept moving. There were constant hurdles that the characters were given that kept them apart which helped move the story along. Miriel was a great character. She knew what she wanted and she was practical. I wasn’t sure what she would end up doing once she ran away from the convent, but her weaving business only made sense since that is what she knew how to do and it is what her own family’s business was. She was quite successful for a woman on her own, despite having to marry twice to secure her business and her own freedom in a way, and to make sure no one found out that she was a runaway. The whole time though, she made sure to keep a safe watch on her stolen treasure. Towards the end, I could feel the despair she was in and how trapped she was; she kept trying to be one step ahead of her husband but it ultimately would backfire until…..well, you’ll have ot read to find out. One thing that I wasn’t completely sold on was the love that Nicholas and Miriel had for each other (at first). After they part they make mention of each other and how they think about each other in that longing way, but when they first met (while Miriel was nursing him back to health at the convent), I just didn’t see the potential for love there; I didn’t see that initial spark that I guess they had. For Nicholas it was more like love at first sight and later on his love for her wild spirit. I just couldn’t see why Miriel would have longed for Nicholas. Ultimately, it becomes a forbidden passion and I just put away my misgivings and engrossed myself in the story anyway. I did want to know more about Magdalene, Nicholas’ lady friend. 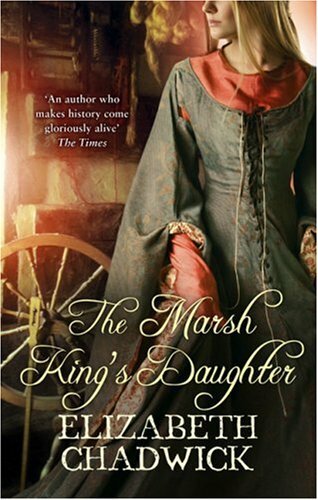 If you like historical fiction taking place at a different point in time, with a great story, then this is for you. The author has a great website, which is currently being revamped, but definitely check it out to see her research and her other medieval books. Plus, I love the covers on all her books! So there’s a great cover gallery on her website as well. I’m experiencing some small security problems with my latest blog and I would like to find something more risk-free. Do you have any solutions?
! But yeah, thanx for spending the time to discuss this matter here on your internet site. Hello to every body, it’s my first visit of this blog; this website includes awesome and really excellent data in support of readers. by an excellent offensive coordinator in Scott Linehan. Red Rockin’ Rendezvous – ATV & UTV trail rides, skill clinics, machine rodeo, dinner, raffles, prizes, and vendors. In my family, it’s all about saving more and spending less. In simple terms, the system of recovering government funds is poor. The flash head zoom range now reaches from 20mm to 200mm. and a dedicated filter holder to help photographers match ambient light.